You’ve probably heard us harp on enough about the wonders of sauerkraut, which is packed with probiotics and goodies to stock a diamond store, but our Sassy is loaded with little bit more. You see, cabbage and salt fermented into a good kraut is a great start, but we thought we could take it to the next level. 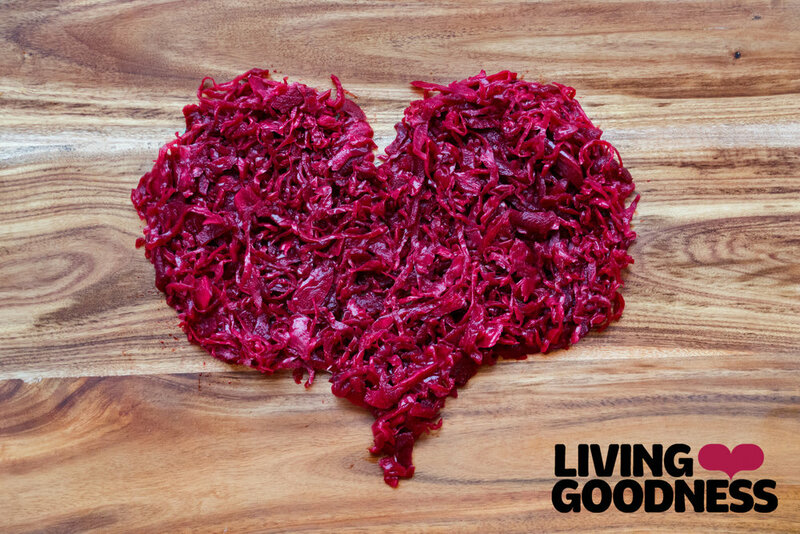 Since the very beginning of our journey, Living Goodness has had one constant (besides our love for good kraut, of course!) and that is our fantastic relationship with our supplier Young Wah Chong. You might not expect there could be much to say about cabbage growers, but if you knew Ben, you would know that there isn’t much you couldn’t say about him. WHY DO FERMENTED FOODS STINK? Why do fermented foods stink? If you’re asking this you’re probably cooking a big pot of kimchi rice, and wondering why something so delicious has to smell so… well, not delicious! We’re here to clear the air (not literally, unfortunately) with some answers! The kimchi we all know and love is packed full of cabbage and chilli - but it used to look and taste very different! We delve into a brief history of kimchi, to find out what it originally tasted like, and how it’s changed over the centuries. It’s our birthday - and we want to celebrate by bringing the gifts to YOU. WHAT ON EARTH DOES BIOAVAILABILITY MEAN? We sling around quite a few terms on our website; probiotic, prebiotic, alkalizing, and bioavailability – but what could it all mean? While the benefits of fermented foods are always top of mind for us here at Living Goodness, plenty of Kiwi’s are still relatively new to the idea – and we’re on a mission to change that. We like to think that if you could measure fame in the fermented cabbage community, being asked to teach your sauerkraut process would be a pretty good indicator! We went to Fraser High School to show their students how to make their own kraut and we had a blast. Let’s be honest here, it’s hard to stick to a diet. With many food fads floating around nowadays, incorporating healthy additions like fermented foods to your everyday diet can seem like a chore at times. Life gets busy or we just forget. Never fear, we’re here to help you out. Fermented foods are a great way to add probiotic goodness into your body, providing a wide range of benefits with each mouthful. Here are five ways to add fermented foods into your everyday diet. We can guarantee that there’s a lot of food out there you haven’t tried. And, among that, there’ll be plenty of fermented foods that have yet to tantalise your tastebuds. 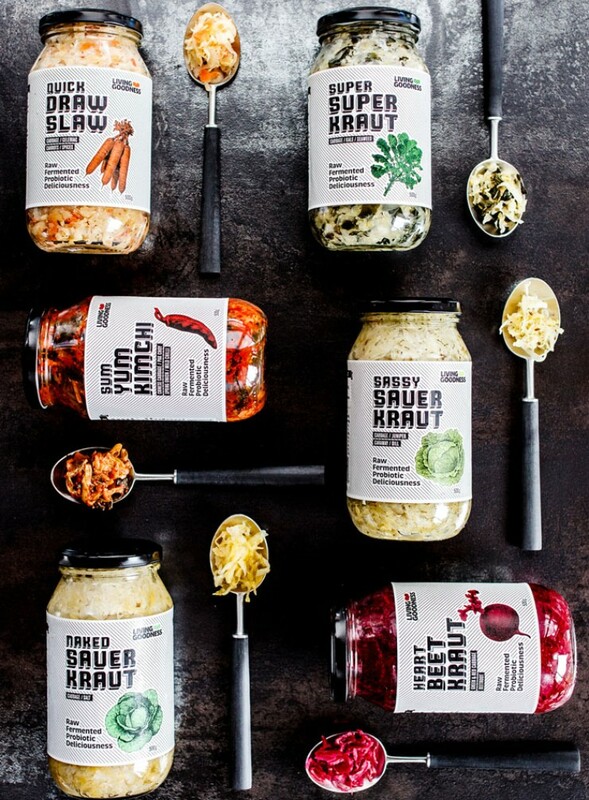 Sauerkraut may be a weird concept to some cultures, but it’s likely that they have their own fermented food that you might just find a little bit weird and wacky! Here are a few that we’ve discovered. We're going to be exhibiting at the Live Well Festival for the first time this year 14-15 October, 2017! The show is all about healthy lifestyles, fitness, nutrition, well-being and happiness. This is the second year it's being held, and it'll be bigger and even better than last time! The venue is The Cloud, Auckland. Get your tickets from iTicket here. Group bookings are also available, and a much better deal. Fermented foods like our own sauerkraut and kimchi products have steadily gained popularity over the past couple of years, but the historical origins behind these fermented foods goes much farther back.